When I was younger, one of my favorite parts about spring (besides my birthday) was going to my grandma’s for Easter dinner. Every year she went above and beyond to make the house look magical — porcelain plates handpainted with cherries came down from the cupboards, the table was set with a delicious homecooked meal and the yard was full of hidden plastic Easter eggs, ready for me and my brother to discover after we ate. No matter what we were doing: dyeing Easter eggs, hunting for hidden treasures in the garden, or chatting in the living room, Easter celebrations were always remembered. 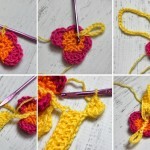 To help create your own cherished Easter memories, I’ve pulled together a list of my favorite Easter decorations from AllFreeKnitting. 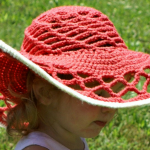 Elegant Easter Egg Cozies – Add some color to standard plastic Easter eggs with these charming knit cozies. 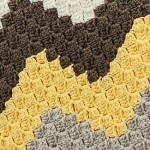 This pattern is a great excuse for cleaning out random, colorful scraps from your yarn stash. 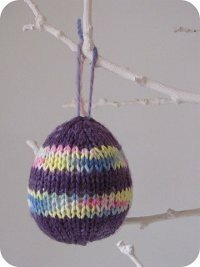 Knit Easter Egg Tutorial – Adorn the yard and trees with these easy-to-make Easter egg ornaments. 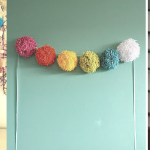 These knitted decorations are just the type of thing you’ll need to make the celebration even more special. 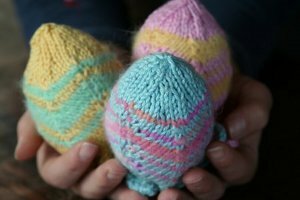 Easter Egg and Nest Pattern – If you’re already planning on knitting a few Easter Eggs, you might as well knit a nest to complement the design. This simple tutorial will walk you through the steps to create your own nests filled with colorful eggs. 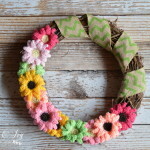 Use these to decorate for Easter both inside and outdoors! 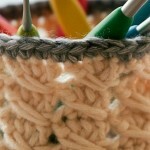 Tell us: what are you knitting for Easter? Nothing specific this year. I’m just trying to finish up projects that are already started. 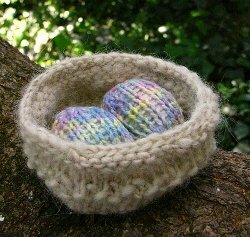 I have been knitting easter chicks to cover cream eggs, then afterwards the children can use them as a boiled egg cozy. I’ve knitted chick egg cosies a d chick baby booties with chocolates inside for mum and dad plus a mum duck and two baby ducks on a shelf…all for our charity stall at fairs. A shawl. Pattern is called ‘Enso’. I am making it out of a very narrow ribbon called Malva. 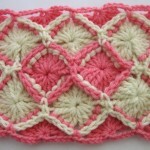 It is a soft yellow with stripes of bright pink, aqua, and soft green.